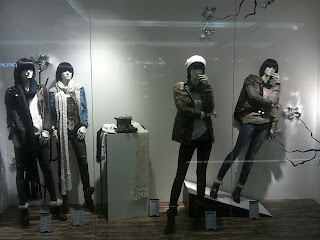 Winter inside Stradivarius window display at Senayan City, Jakarta, is a gloomy one. 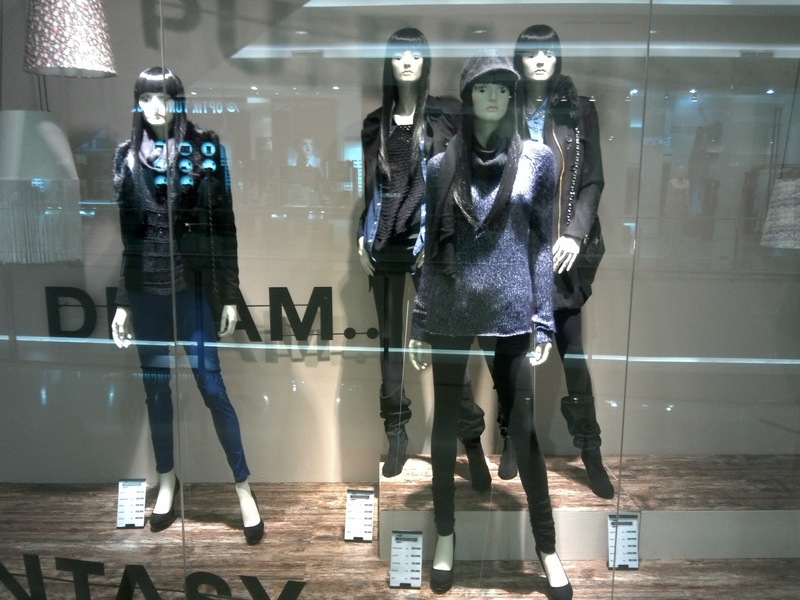 All mannequins wearing dark colored jackets, jeans, and even their hairs are all black. Knitted scarves and shawls become the main accessories on the neck. 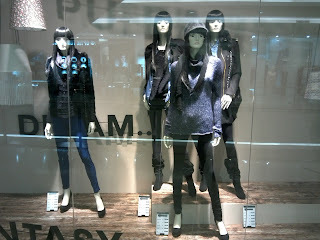 The hair plus the black make up under the eye for the right wing window add more darker mood.